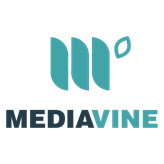 Mediavine has been an internet publisher since 2004. We own and operate The Hollywood Gossip, TV Fanatic, Movie Fanatic and Food Fanatic. In 2013, when Food Fanatic was launched and our relationship with bloggers began, we learned we weren’t alone in our frustrations with the way most ad networks are run. Since then we've teamed up with over 4500 different publishers to create frustration free advertising experiences running high quality, non intrusive and relevant advertisements. Want to get notified about new jobs at Mediavine?